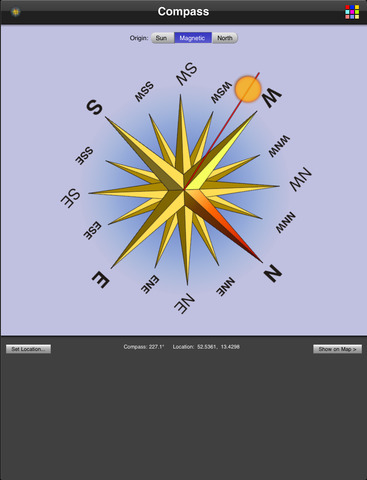 This application adds the a compass to your device. 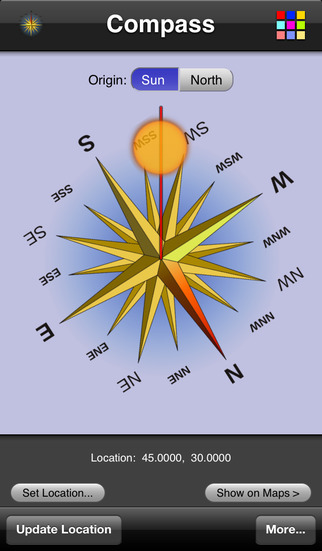 It either uses the built in magnetic compass (if available) or provides a sun compass (You just have to see the sun and know the time to determine the north direction). 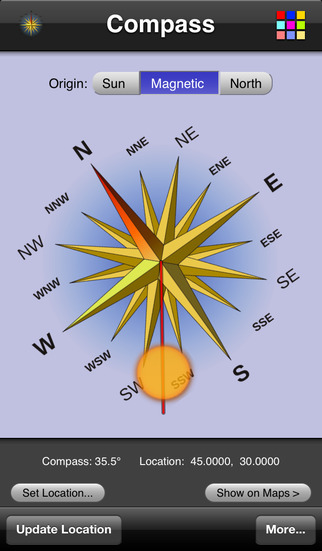 Use it for all your outdoor activities whether it's hiking, biking or for a boy scout camp. 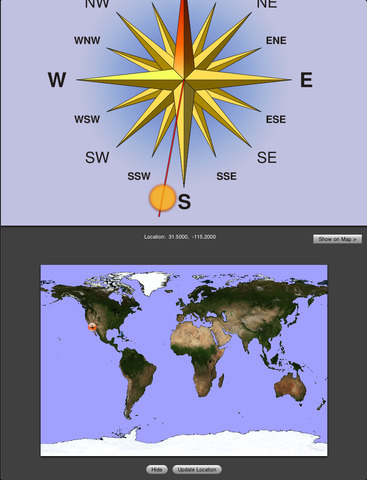 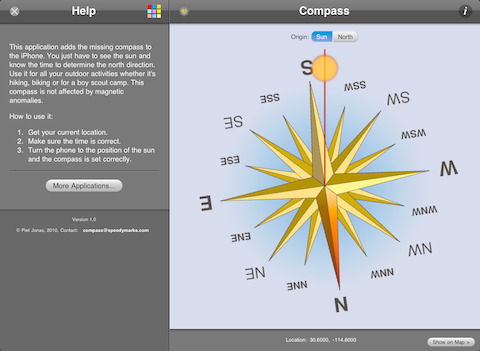 The sun compass is not affected by magnetic anomalies.